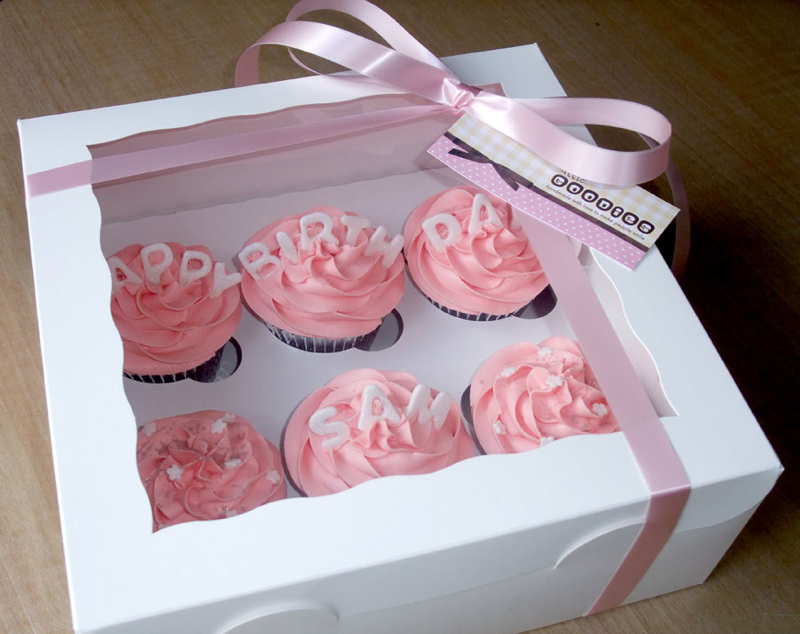 All our gift cupcakes are beautifully boxed and ribbon tied with a tag. 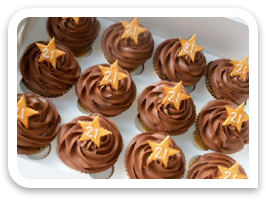 Cupcakes can be personalised with a message of your choice and hand delivered to your door. You can say just about anything with Little goodies cupcakes, Happy Birthday, Congratulations, (can't imagine a new mum that wouldn't appreciate a gift box) Happy Anniversary, Good Luck, or simply "I Love You". 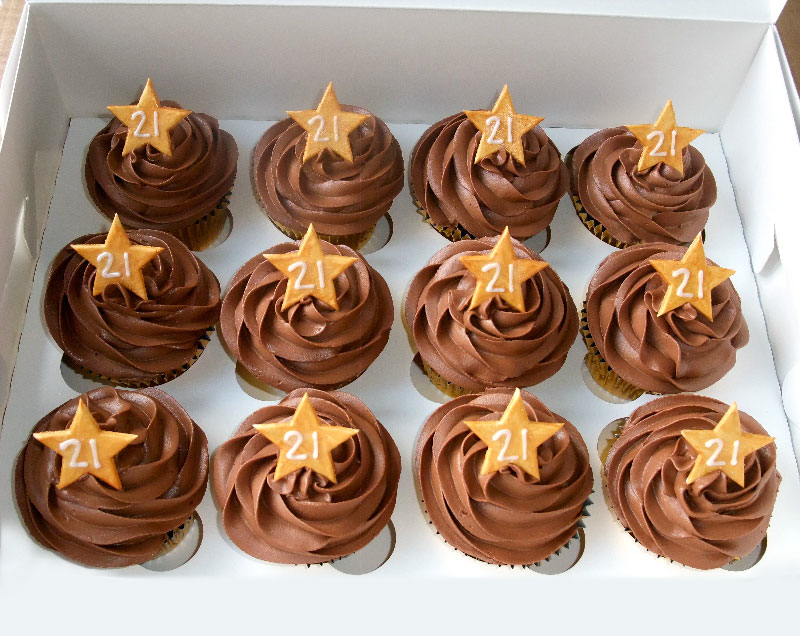 Just tell us what you would like to say and we will get your message across in the most scrumptious way imaginable! Choose from our 6 or 12 Cupcake gift box or why not try our delicious Brownie or Bakewell tart gift boxes. 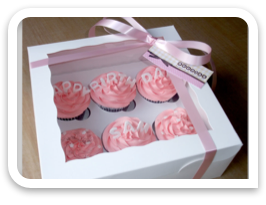 All our gift boxes are hand delivered free of charge within a 5 mile radius. Extra miles are charged at 50p per mile.